Father’s Day is on Sunday 18 June this year do you know when and where it originated from? The first official Father’s Day was celebrated in 1910 in Spokane, Washington, USA. It is celebrated across the world and is a time to remember our fathers (whether they are still with us or not) and to appreciate all that they do for us. 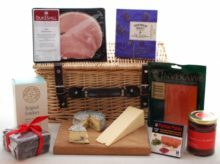 With this in mind we’ve put together some suggestions on how to spend your Father’s Day and a delicious selection of foodie gifts. How to spend your Father’s Day? Things to do on Father’s Day in Kent include a train ride on the Kent and Sussex Railway or Romney, Hythe and Dymchurch Railway. Or what about a visit to Port Lympne Zoo or Howletts? Take some time to admire classic cars at Hever Castle. Plus several others suggestions from Kent Live here. If you want to venture up to London (*do check the trains are running ok beforehand!) then both Time Out and Visit London have some great ideas. Or if you are in or want to visit Surrey there are great suggestions here. For something active, try the Chimera Climbing Wall in Tunbridge Wells or the National Trust is putting on special Father’s Day events across the country. We’ve rounded up lots of different suggestions for presents for your Dad including several ‘make your own’ kits. 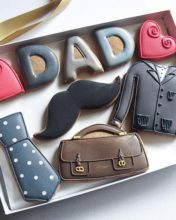 How about a Love Dad Biscuit Gift Box? A personalised cheese board teamed with one of the cheese making kits below. Grow your own grape vine kit. 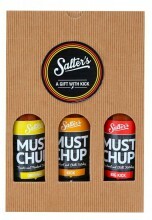 Try adding Must Chup to any (or all) of these! 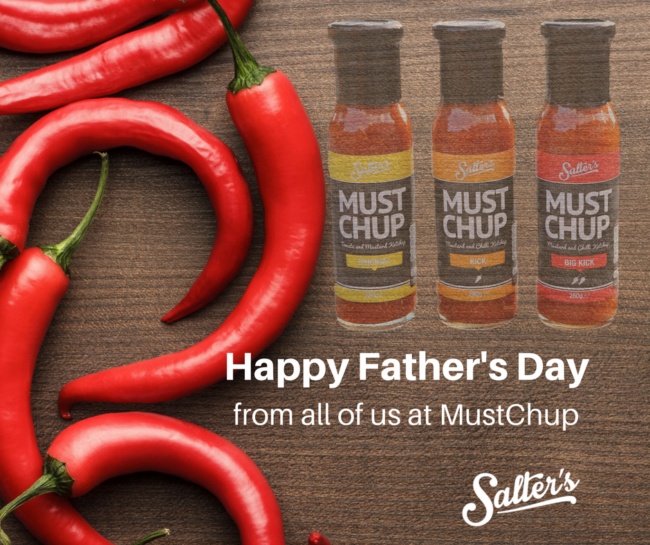 We’d love to see your photos of you and your Must Chup (especially if you try any of the kits above) so please share them with us on our Facebook page.